In 2016, I’m going to try sewing totally from my stash of fabrics. Just for fun, to see if I can actually do it for a whole year. And maybe use it all up! My teenager is doing a Textiles course in high school, and she is going to help me use as much fabric as possible. Last summer I trimmed a lot of scraps and smaller pieces into strips and started making these blocks in colour families. They are quick and fun, and I love the cheerful colours. Happy New Year, and I’ll see you again soon! 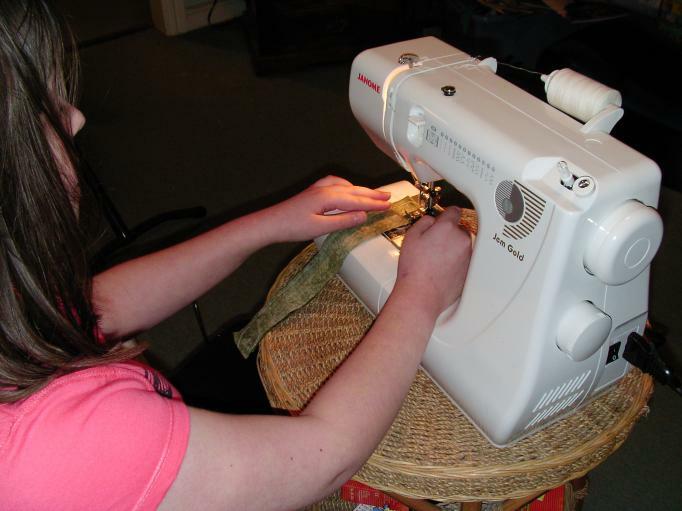 I’ve been really good with my buying and have sewn mainly from my stash for more than two years now, ever since I found Judy on the Internet and joined the Stash Busting group. However…in the last couple of weeks, I have been very naughty. It all started with this fabric, which I just had to get to make a dust cover for my sewing machine that stays out all the time. 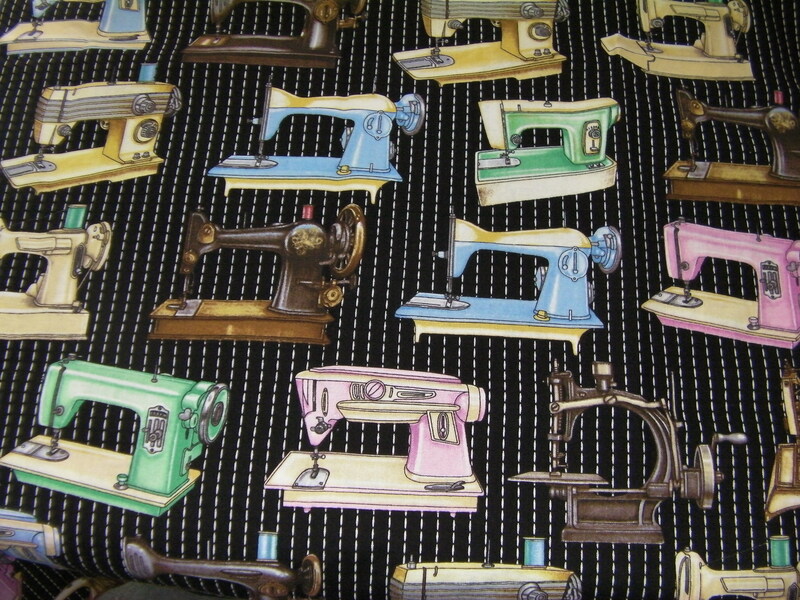 And then, I was lucky enough to make the acquaintance of two very nice ladies who were selling fat quarters and half-yard cuts for such good prices that I couldn’t resist, and I got this fabric, too. Look at all that brown fabric! I blame Judy for that. 😉 Before we did the Monochromatic challenge for March, I thought I didn’t like brown. Now I’m infatuated with it! 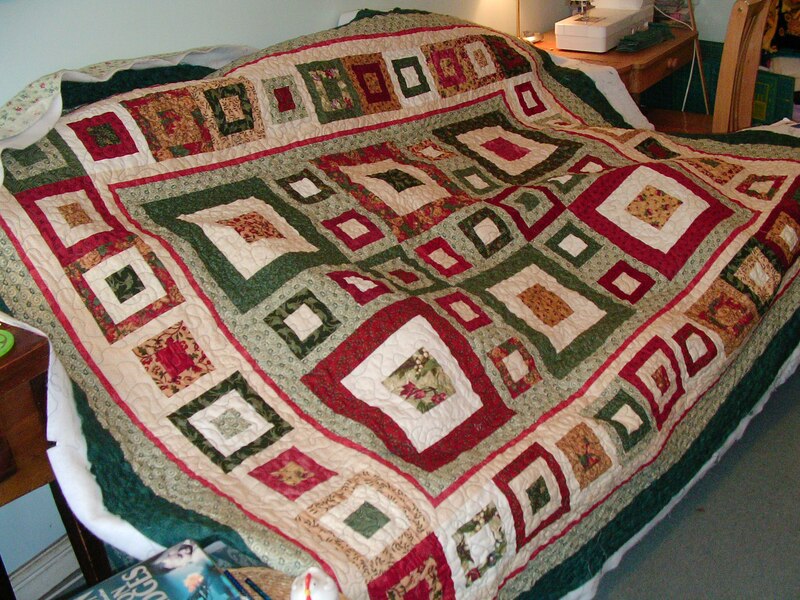 To see how other quilters are progressing with their Stash Busting, please visit Judy’s blog. I just finished quilting the “Freeze Frame” quilt that some of us made with Judy Laquidara as part of her “Quilt for an Hour” project in 2009. 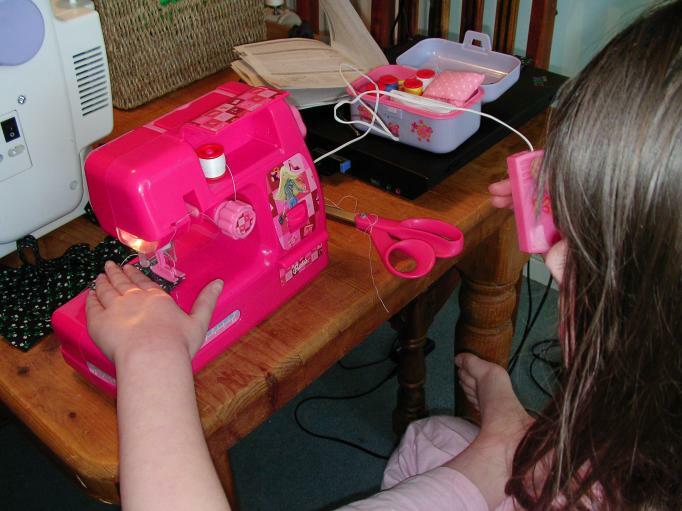 I practised and practised my free motion meandering on my domestic sewing machine until it looked right to me, and then I just jumped in and did it. It was very scary! I kept thinking — what if I ruin this quilt top? It’s one of my favourites, and it’s a gift for my father-in-law. 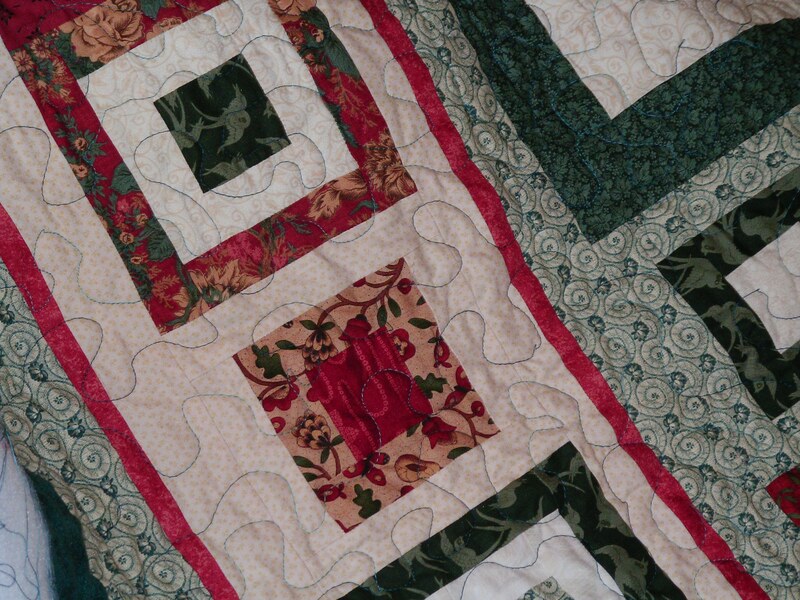 And here is the quilting on the quilt top. 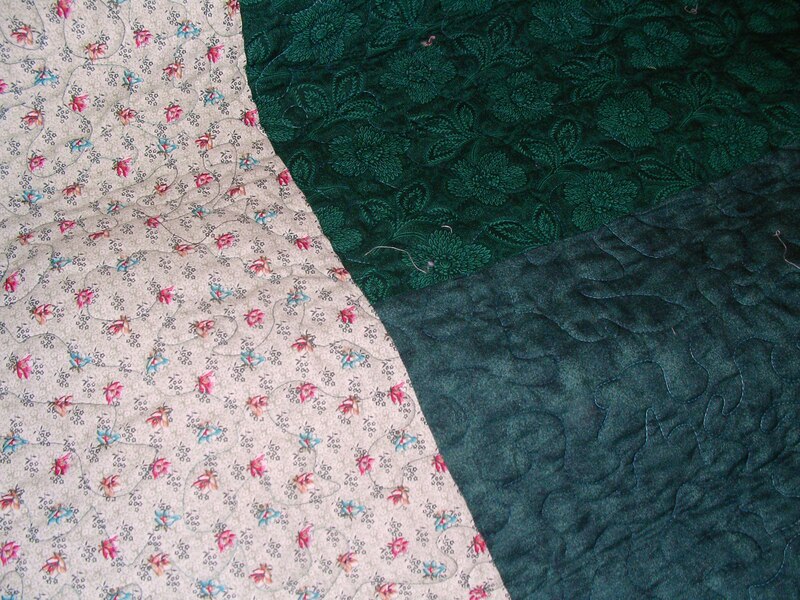 The back is pieced from my stash — two pieces of dark green and one green floral. 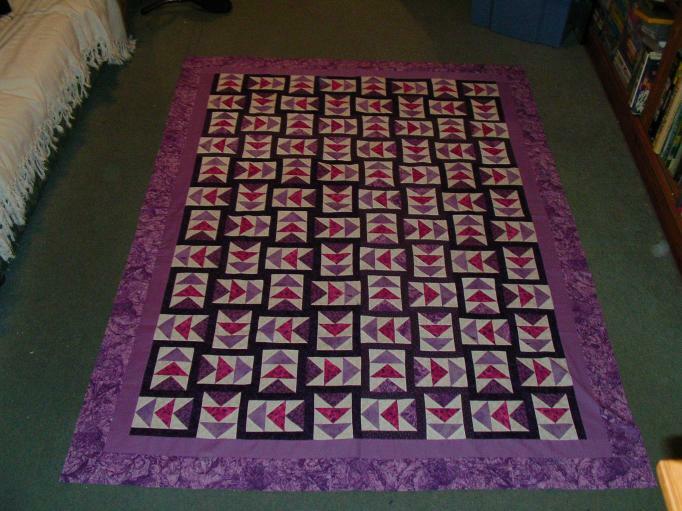 Now I just have to trim the quilt edges and bind it. I already counted the fabric for the top in a long-ago stash report, but I can count the backing and binding this week. The binding is already cut, pieced and ready to sew on. 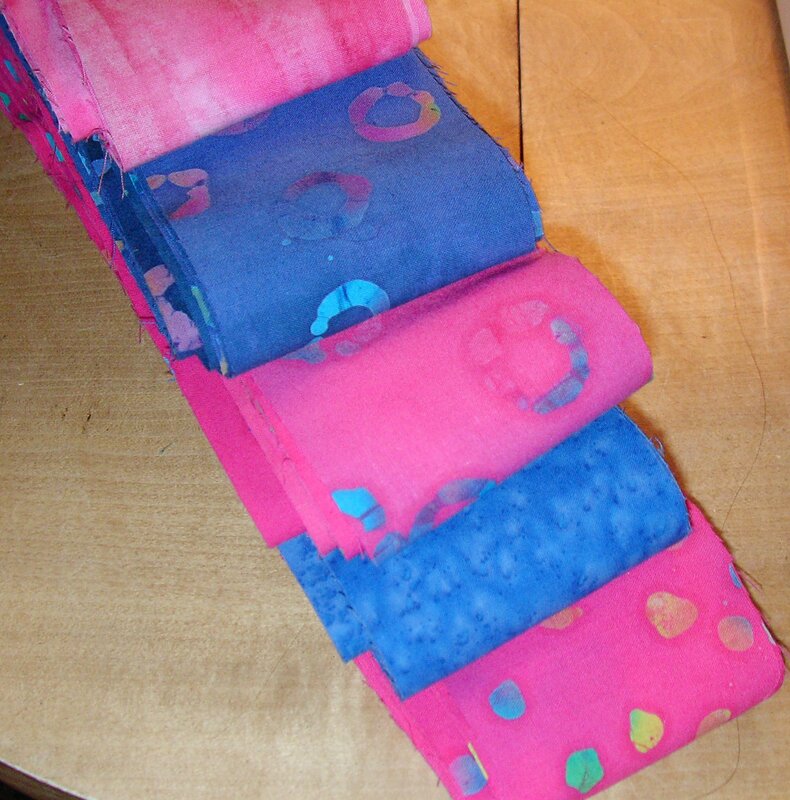 I also bought some new fabric this week — a roll of 2.5 inch strips in pink and blue batiks put together by a local fabric store. I saw a jelly roll pattern recently that will be nice in these colours. 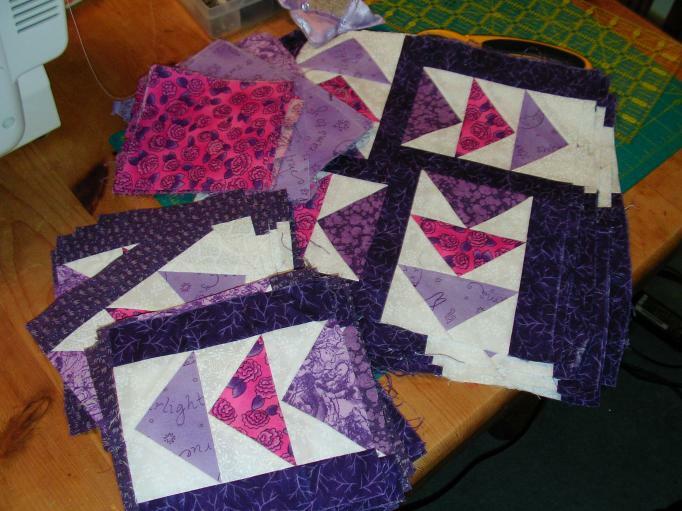 To see how other quilters are progressing with their Stash Busting, please visit Judy’s blog for a list of links to Stash Reports. 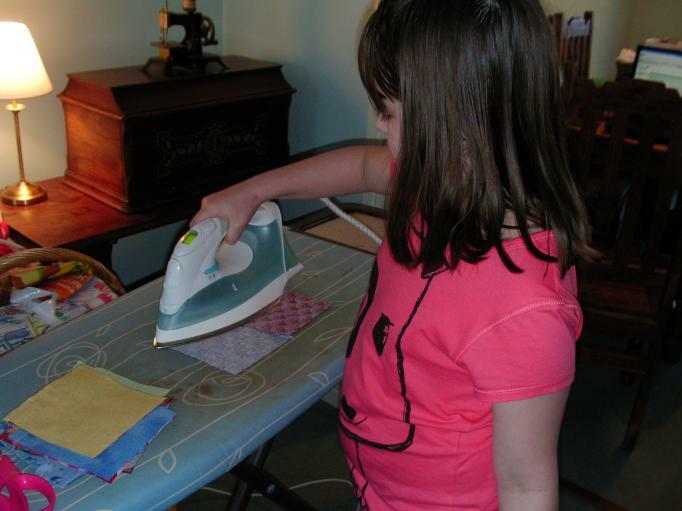 This week, my step-daughter came over for dinner and told me about a quilt she has started making. It’s her first large project, and I am really excited for her! This is the young woman who received the turquoise quilt for her birthday in March. 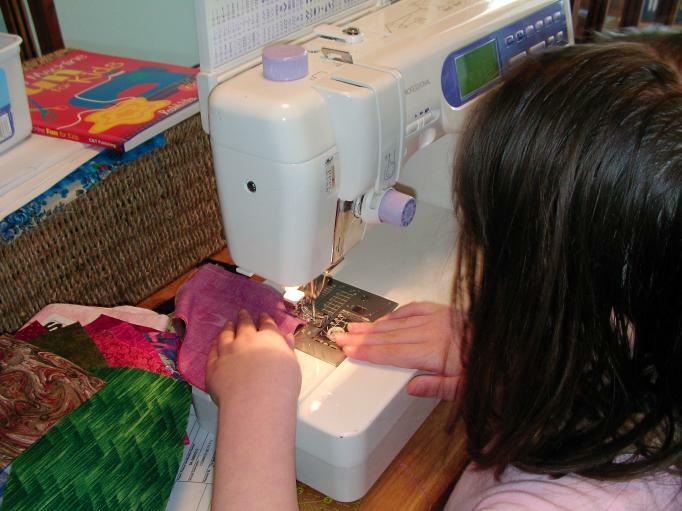 She prefers hand-sewing to using a sewing machine, so she is making a Grandmother’s Flower Garden by the English paper piecing method. She found free hexagon templates and illustrated instructions at Cia’s Palette. 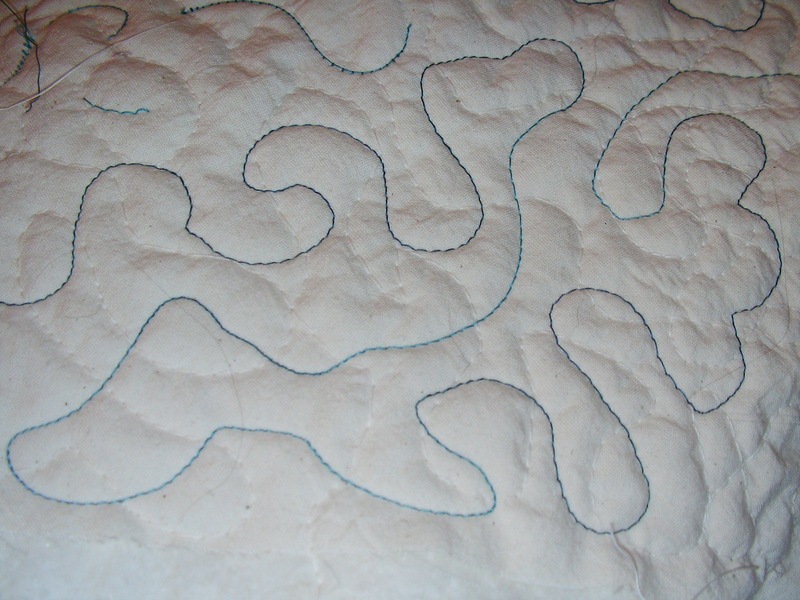 To see how other quilters are getting along with their stash busting this week, please visit Judy’s blog for a list of links. I don’t usually make New Year’s resolutions. It seems like a good way to set myself up for failure, and I’ve already been down that road paved with good intentions too many times! Here is my first UFO finish of the year, from my Flying Geese phase of 2003. I finished it on Saturday evening. Here is what I started with on Wednesday morning when I pulled this project out of the UFO cupboard. If I could work so fast this week, why can’t I work that fast every week? Oh happy day, I get to count a finish in my stats! To see how others are doing with their Stash Reports this week, please visit Judy’s blog for a list of links.